Wuhan Museum is 300 miles west of Hankou railway station. It formally opened to the outside world on October 1st, 2001. It has a gross floors area of 17 834m2 , with 600m2 exhibition area (of which 1000m2 is the exchanging exhibition hall). Hubei Provincial Museum is one of the best-known museums in China, with a large amount of State-level historic and cultural relics. 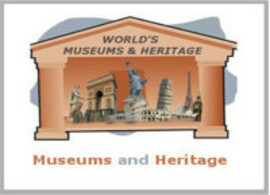 Established in 1953, the museum moved to its present location in 1960 and gained its present name in 1963.